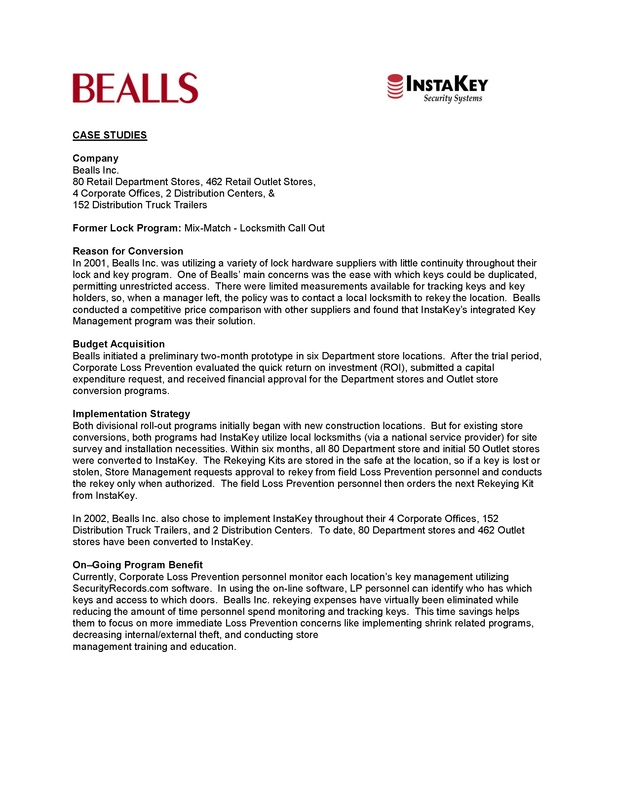 In 2001, Bealls Inc. was utilizing a variety of lock hardware suppliers with little continuity throughout their lock and key program. One of Bealls’ main concerns was the ease with which keys could be duplicated, permitting unrestricted access. There were limited measurements available for tracking keys and key holders, so, when a manager left, the policy was to contact a local locksmith to rekey the location. Bealls conducted a competitive price comparison with other suppliers and found that InstaKey’s integrated Key Management program was their solution.